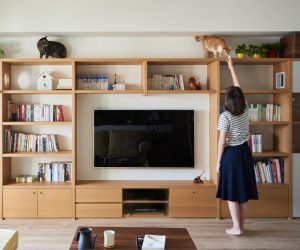 Whether you have an open floorplan or just want to create more private, cozy spaces in your home the right room divider can make all the difference. 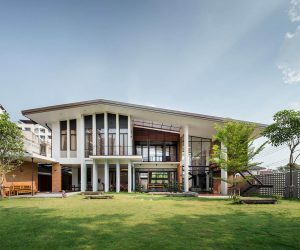 The photos in this post go well beyond a folding screen and instead use everything from shrubbery to curtains to nautical rope to create beautiful, unique spaces. 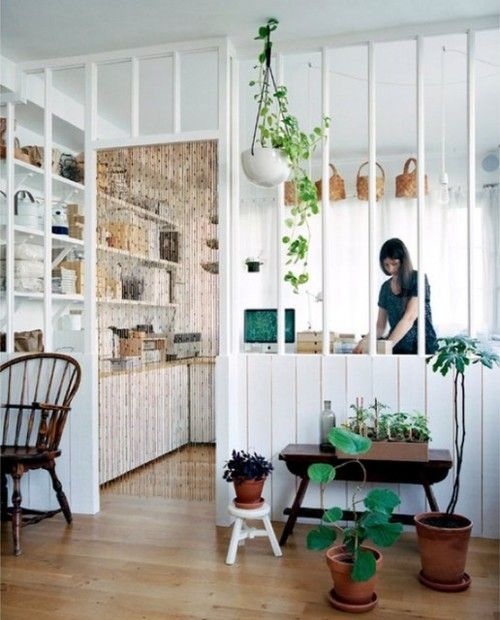 Using indoor plants as partitions is a particularly creative and beautiful solution to the room divider issue. These vines climb up ropes to create an indoor jungle that also separates spaces. 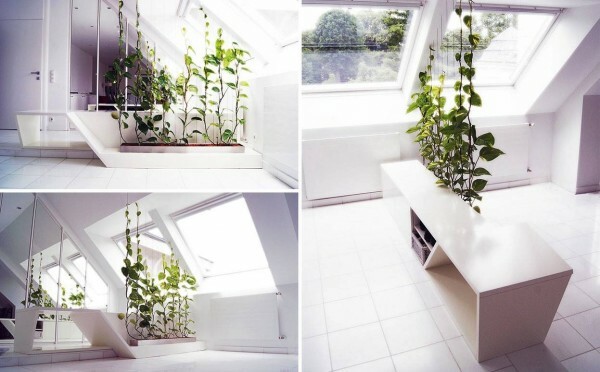 This plant divider is a bit more opaque and requires regular trimming (along with water) to keep its sleek shape. 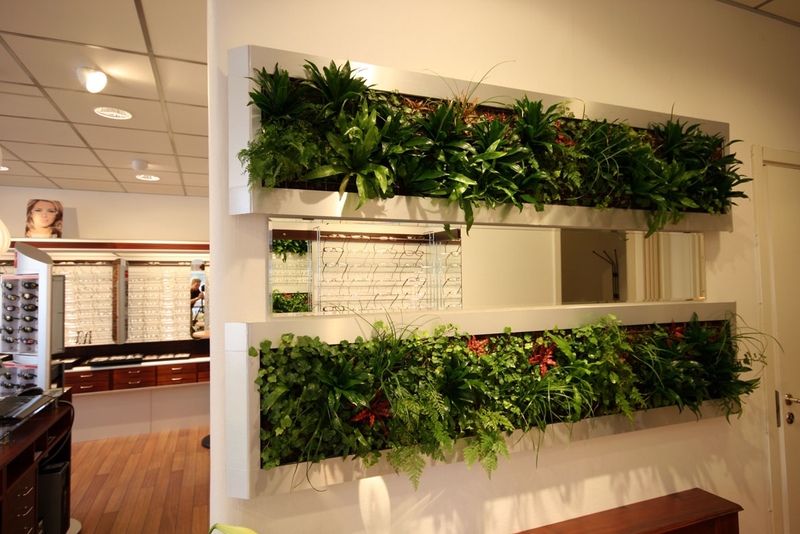 An even more vertical solution, this wall with built in planters is part room divider, part garden. 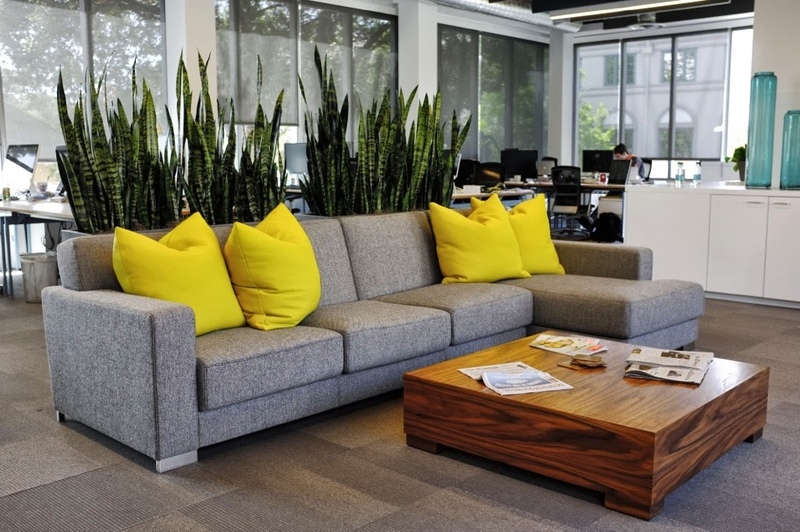 In this modern office space, both plants and furniture divide the area with tall spiky greenery emerging from the back of a low modern couch. This curtain of hanging planters rounds out our green room partitions. 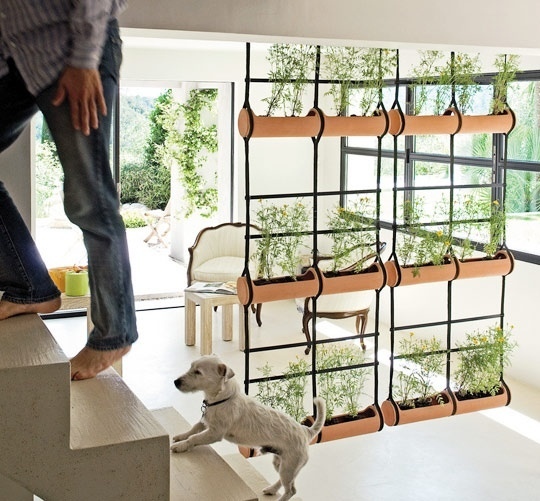 It would be simple enough to hang this in a sunny space and fill each planter with a different herb, making this option both beautiful and delicious. Too many walls and a room can feel small and cramps, but not enough and distractions abound. This half wall with beams and a beaded curtain lets in plenty of light and air while still keeping the office area removed from the rest of the house. 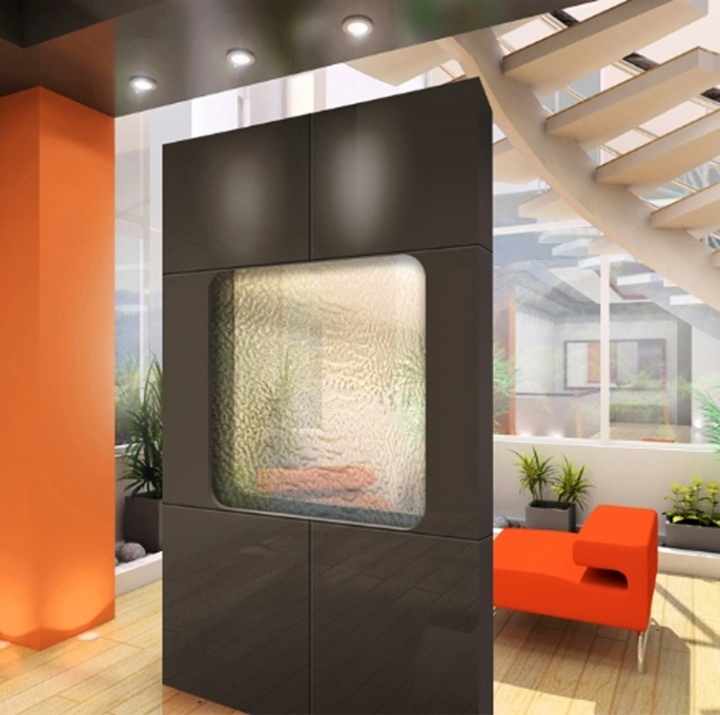 This amazing room divider actually hides an entire room away. 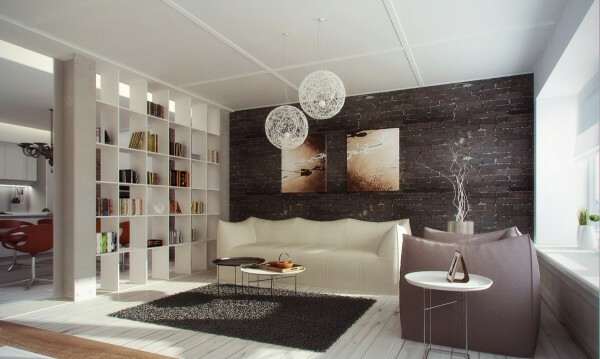 Just fold in the wall and create a perfect cozy reading nook. 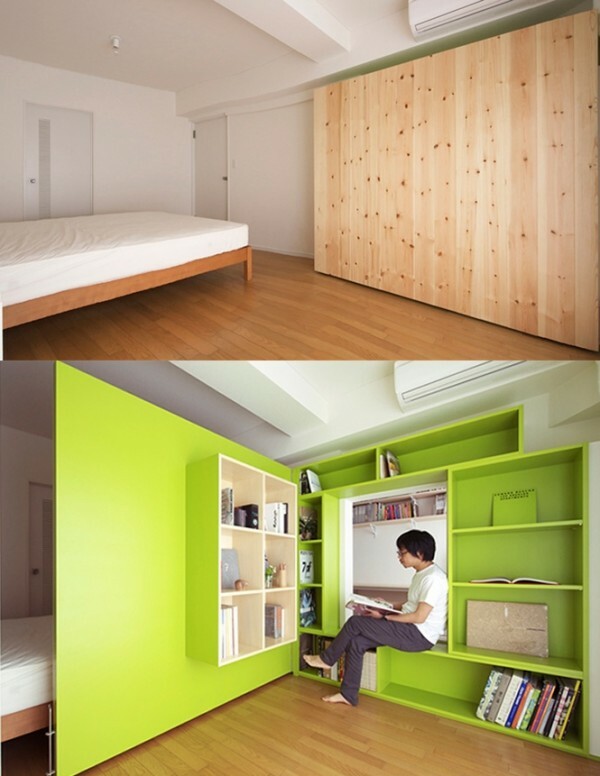 Fold it away for sleep without distraction. Sliding doors are another creative room divider option. 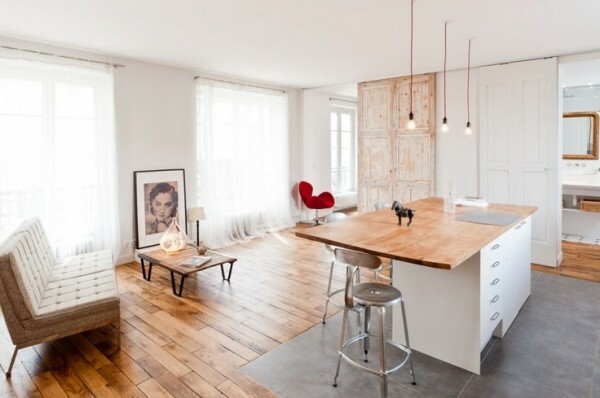 These are made from reclaimed wood and can be left open for air flow and space or closed off for privacy. 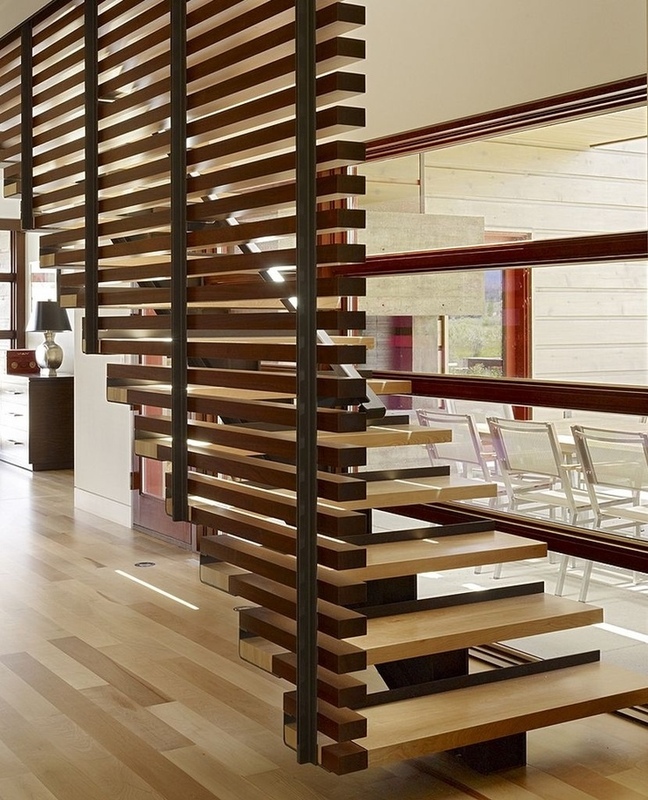 A bit less privacy is possible with these wooden slat sliding doors, but the elegant appearance more than makes up for it. Using a massive bookshelf to divide a room is a great practical use of space as seen here. The more books you amass, the more separate things get. 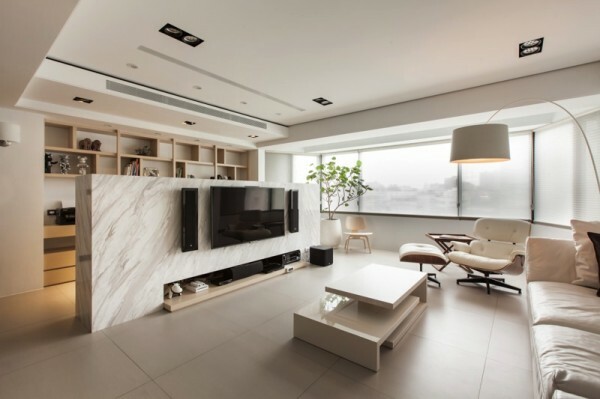 This low marble wall conceals an office space and also acts as a mount for a flatscreen. Gauzy white curtains don’t do much to keep out noise, but sometimes the suggestion of division is enough to make a space more comfortable. Installing an entire wall is not always an option. This large panel only affixes in a few places, making installation and removal easy. 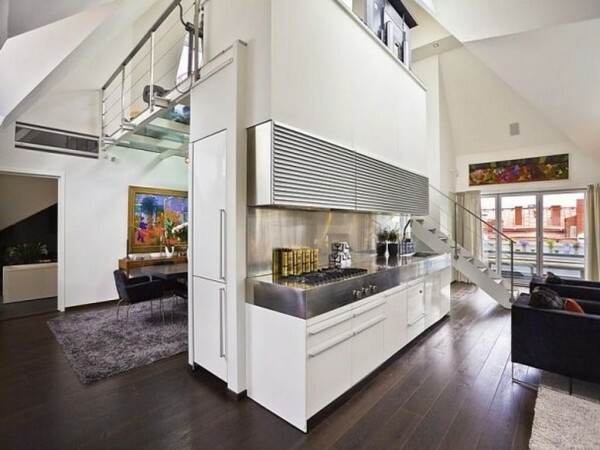 As you can see, it also gives a perfect place to display art. 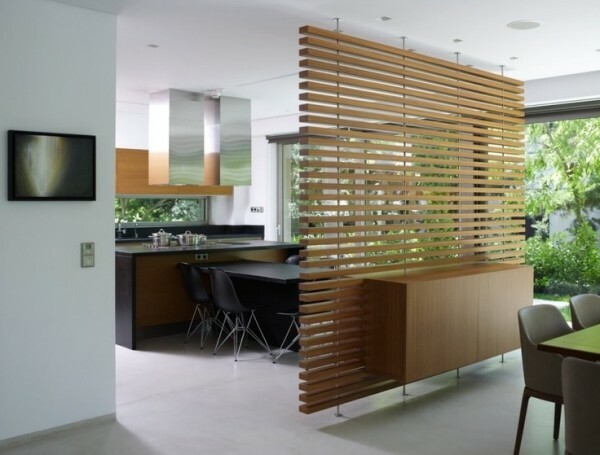 Another easily installed piece, these wooden slats take inspiration from Japanese design and perfectly separate the dining area from the breakfast nook in this simply elegant home. 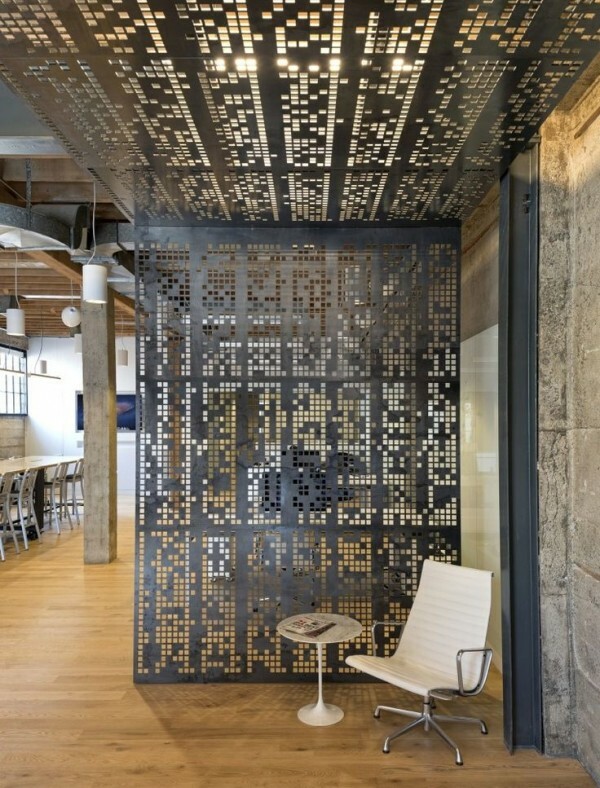 This medal room divider appears almost pixelated, letting it blend easily with the industrial design of this urban loft. 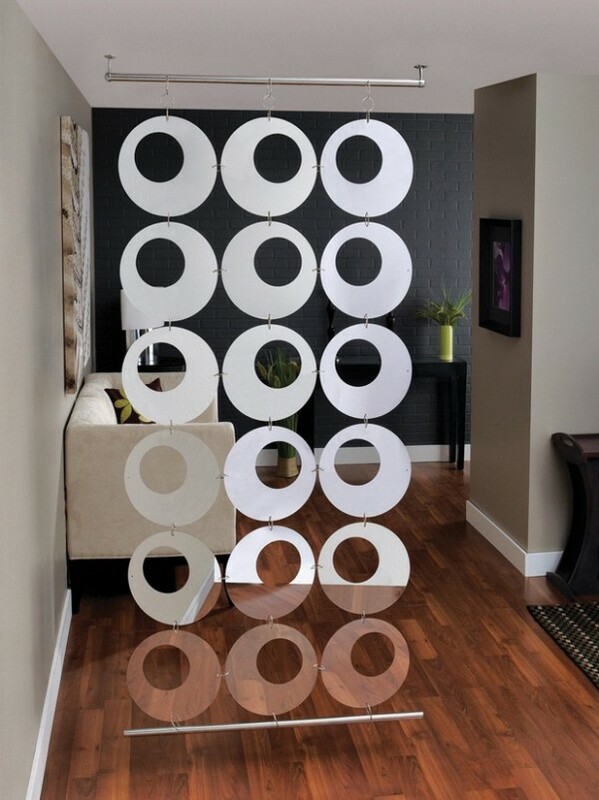 Some room dividers are more nightclub than midcentury. 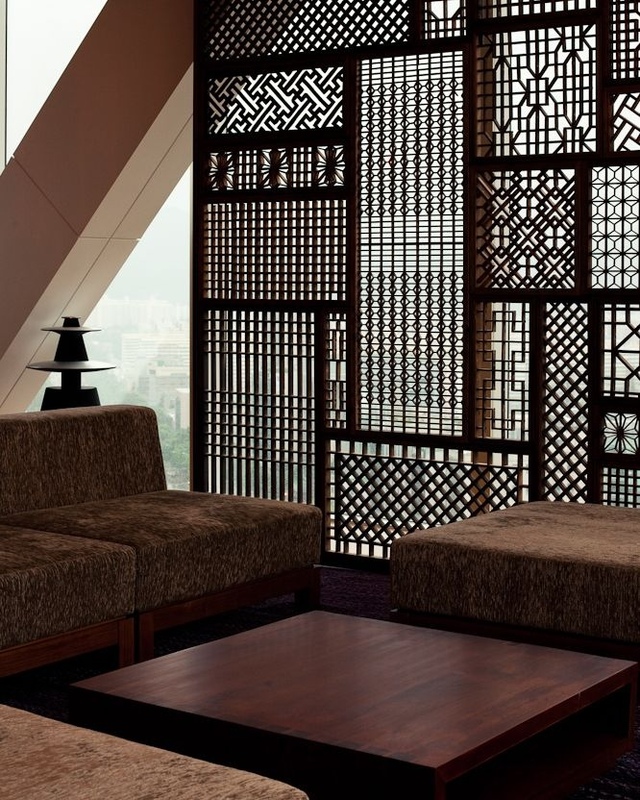 The gold sparkles in this handing curtain are brash and playful in a glorious middle eastern way. 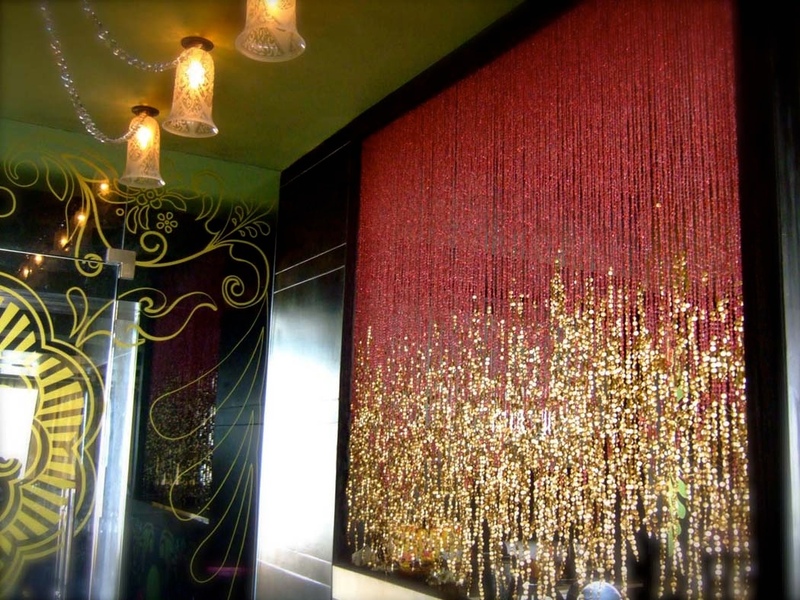 These luxurious beaded curtains would never be found in a dorm. 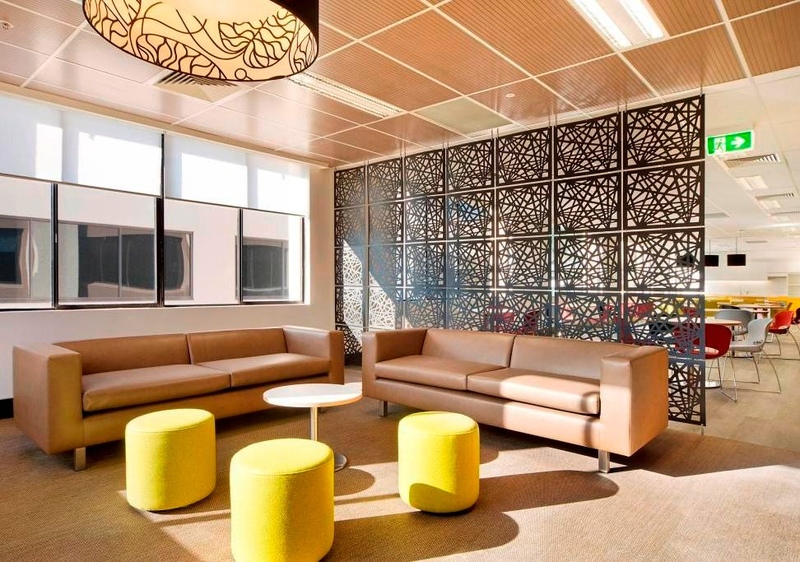 Part art installation, part partition, this bright snowflake design also has pockets for reading material or other décor. 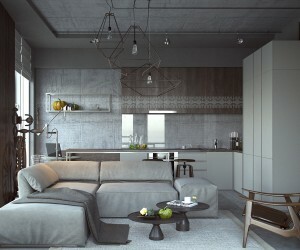 Decidedly mod, almost like a martini olive, this room divider is fun and funky without devolving into kitsch. 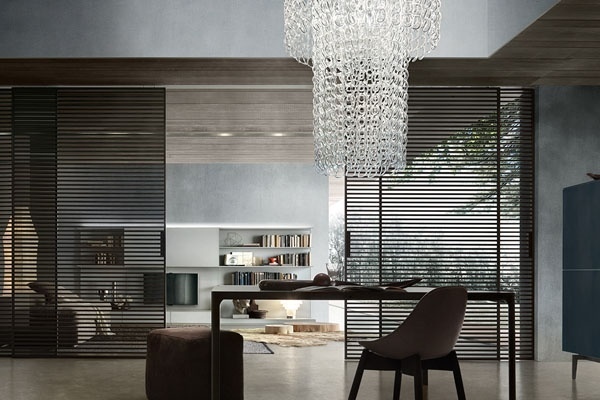 Perfectly contemporary, this artistic white partition suggests separation more than it actually separates. 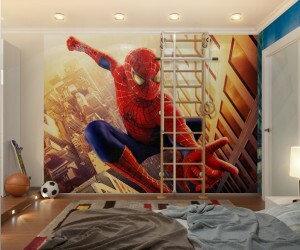 No one said a room divider had to be boring. 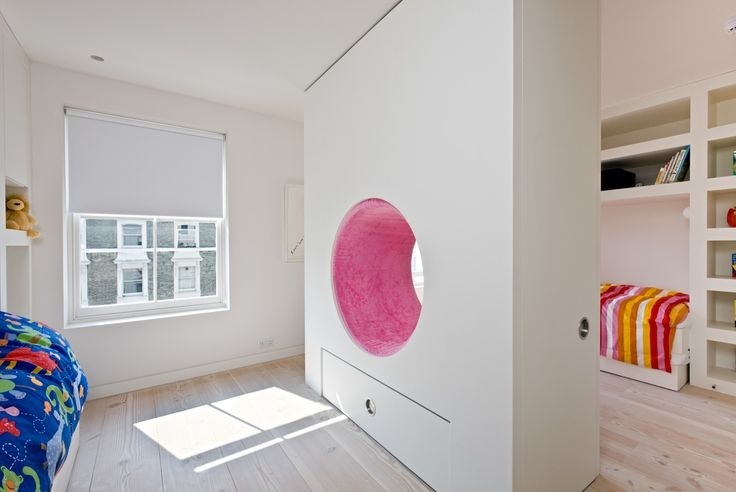 This pink plush tunnel makes it a bit more fun for kids to share a room. 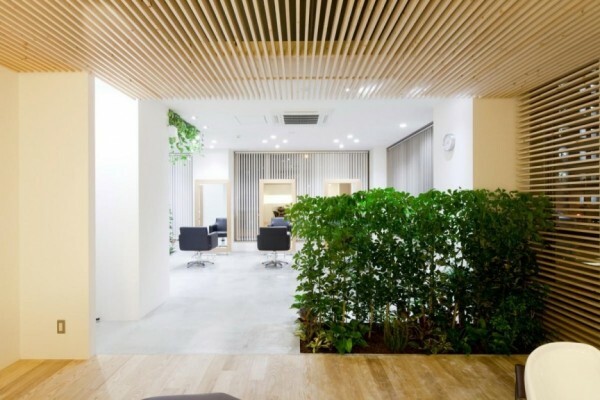 The waterfall effect in this partition is ultra luxurious. 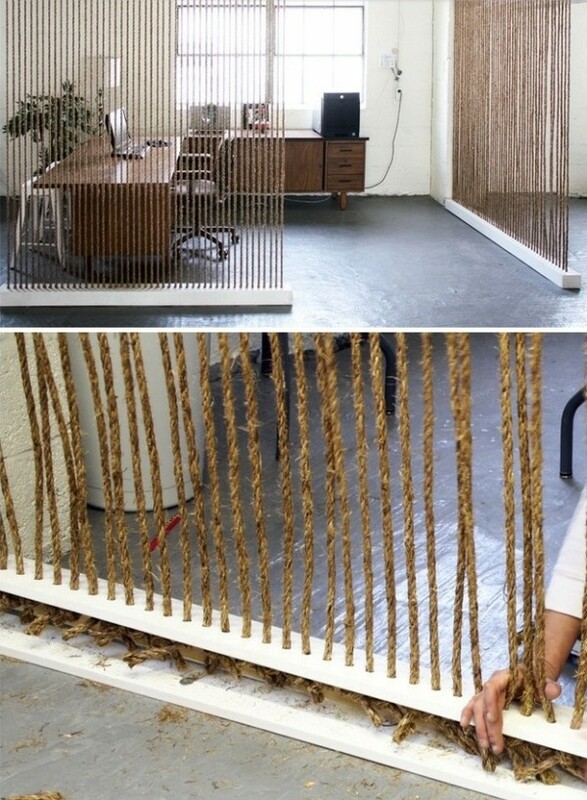 Nautical and modern, this rope room divider is actually a fairly easy DIY. 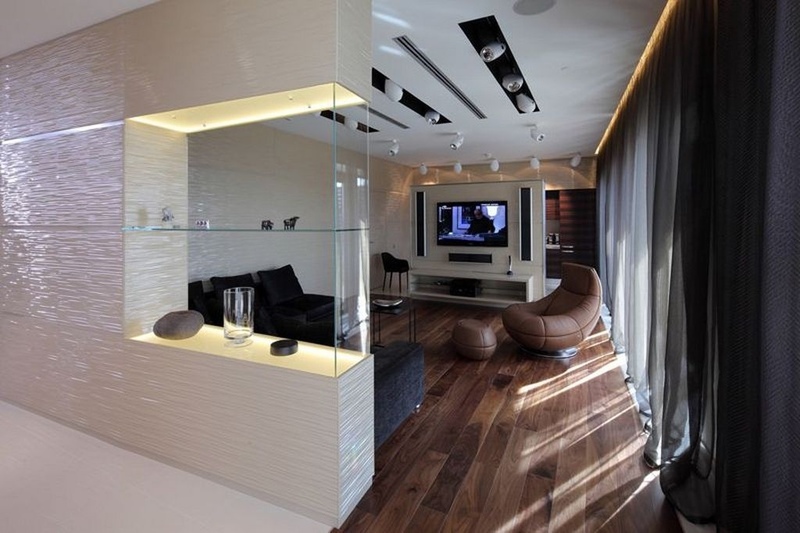 Using shelving to divide a room also offers extra storage and display space. 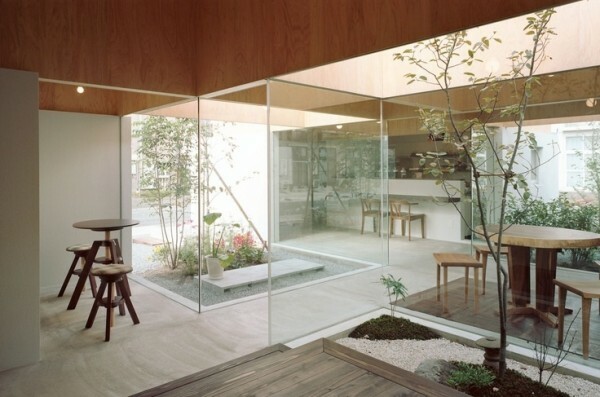 Sliding glass doors don’t give a lot of privacy, but they do give a lot of contemporary elegance. The wood slats that float up with this staircase are a beautiful design element in this wood heavy home. 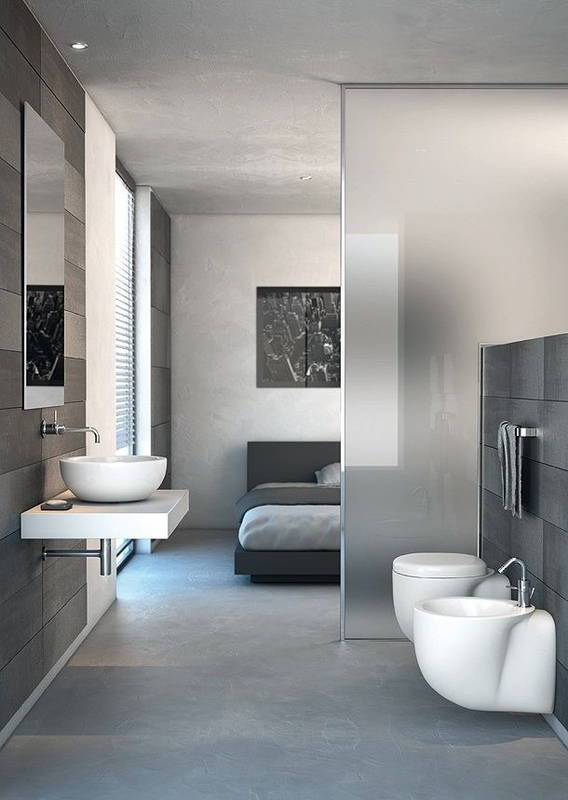 Taking the partition to the next level, this particular en suite does not even have a whole wall separating the bedroom from the bath, instead using frosted glass. 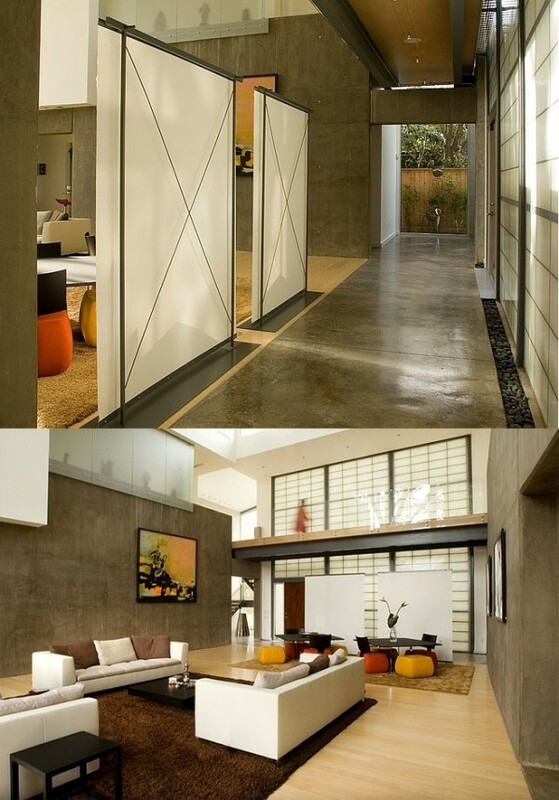 Translucent walls separate a concrete hallway from a contemporary living room with a Japanese flair.